If you’re thinking of starting a blog, chances are you’ve considered using WordPress. It’s one of the most popular platforms these days and offers users countless design, navigation and content options so that you can make your site truly individual. But getting started can be tricky: as with any new piece of software, WordPress takes some getting used to. So read through our handy list of tips before you get started and hopefully we can offer you a helping hand through those difficult first few steps. We’re assuming here that you’ve already completed the installation. WordPress is pretty famous for its straightforward installation process so we’re hoping you haven’t hit any brick walls yet! What do you do first!? Well can we suggest you take a little wander around your Dashboard? This is the area in which your activity is tracked and alerts you to any comments or incoming links you have received. From the dashboard, you can also start a new blog post. Click the ‘Write a new post’ button and you’ll be presented with an input page. The functions on this page are pretty simple and not dissimilar to other writing software you will have used in the past. If you’re a newbie, stick to underlining and changing fonts. If you know a bit more, you can have fun with linking keywords in your text. Once you have written a new ‘post’, you might want to start adding ‘pages. What’s the difference? Well a post is simply a blog entry, whereas a page is more static. You might wish to add an ‘About me’ or ‘Contact’ page to your WordPress site. Feel free to experiment with pages; you can always delete anything you’re unhappy with. The way your site looks to the average visitor will be determined within ‘Themes’. This section allows you to select the ‘Design’ tab and change colours, layout and navigation options. The options in the ‘Themes’ section of WordPress are famous for being extensive and there are tonnes of different looks you can go for. When you find a theme you like, simply download, unzip and upload the theme to the correct directory provided by WordPress. This is one of the main advantages of using a system like WordPress to power your blog, rather than attempting to build your own. Other people spend a lot of time developing and adding new tools to WordPress that their peers can download and use on their own blogs. You can use as many or as few as you like and gradually add new features to your blog over time. These plugins involve adding picture galleries, Twitter tools, backups, video display and much, much more. WP-Cache is probably the most useful. 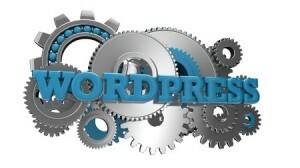 This plugin caches WordPress pages and stores them for future use, saving on download time. This may well encourage new readers to start pouring in and you will soon reap the benefits. Getting started on WordPress can be daunting but once you start, you won’t be able to stop!